Find out about 'What is your 'Olympics'?' on The Wellness Directory. Do you have an ‘Olympics’? A grand vision, a special event, the ultimate achievement you’d be utterly thrilled to accomplish? For many people it’s simply too daunting. Can you imagine how far away the Olympics must have felt for those athletes who decided as kids they wanted to get there? The reason they are there now is because their next goal wasn’t the Olympic Games, it was their next after-school training session or their next swim meet. One thing at a time. 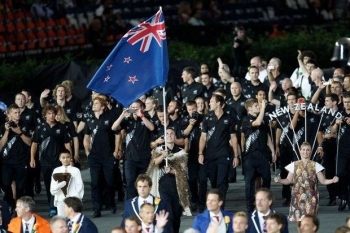 An athlete’s achievements at the Olympics, or even just being there to participate, is the result of many smaller steps being set out, planned for and executed. They may not have won every event, things don’t always go smoothly, but they had a path and they followed it. I’ve been fortunate to work with a number of high performance athletes in the last 18 months and they all know what their big goal is, whether it’s the Olympics, the world championships or a regional title they are aiming for. They have big audacious goals, and they have smaller ones too. Have you broken your big goals into manageable pieces? It is much easier to start when you break it down into palatable chunks. It’s so easy to cruise through the days and weeks doing your job, getting things done, ticking things off the to-do list, keeping clients happy, with perhaps less zeal, determination or satisfaction as we would like. It’s good to have nice steady periods where it’s not constantly full on – I’m sure our Olympic athletes would find it a little much training at Olympic level for endless months or years on end! It’s also good to have that push that helps us reach our potential or even go beyond. It is such a good feeling after all! Often it is not until we have a new challenge that we find the need to strive again. In recent Olympic coverage it was reported that the 100m women’s breaststroke had been swum in under one minute just six times in the first eight months of this year. 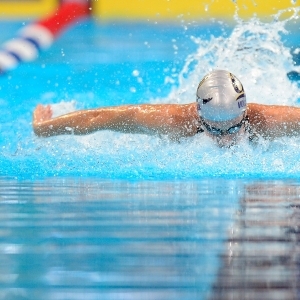 During the first day of heats, twelve swimmers did it under a minute. It’s amazing what drive and performance can come from our will to do well when the pressure is on and the stakes are high. It wasn’t just the women thriving either; in the men's 100-meter breaststroke final, Cameron van der Burgh astounded the home crowd and set a world record with a time of 58.46 (making two world records in a thirty-minute time span). What kind of platform to you want to be able to perform on? Is it completing a half-marathon, or a full marathon?! Performing on stage? Getting an article or book published? Standing for a council seat? What would fire you up? Intrinsic or internal motivation can drive us to a point, but we also need a purpose that gives us impetus and motivation to perform at our very best. Let’s think big! And let’s make it matter! I think there is a more elegant quote about this somewhere, but I often say “you get what you aim for.” Nothing could be truer when you have a goal in mind. A runner is unlikely to even know how to train if they haven’t decided whether they are going to run a marathon, a half-marathon or take part in a triathlon. For Olympic athletes their focus is to be on the podium. 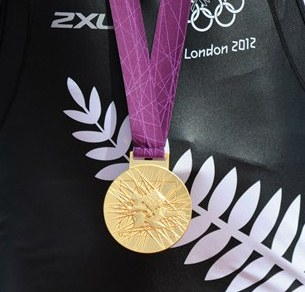 Many are just aiming to win a medal and be on the podium full stop, while others are be focussing on the Gold, after perhaps winning Bronze or Silver in previous years, or simply because that is ultimately what they want to achieve. What do you really want to achieve? The power of so many people knowing about your goals is not to be underestimated. UK psychologist and author, Richard Wiseman, carried out a fascinating piece of research some years ago looking at what made the difference between people setting big goals for themselves, and actually achieving them. A significant factor was that those who did achieve their ‘BIG’ goals had told someone else about it. Sharing it means others are backing us and they would know if we didn’t achieve it. Given the magnitude of the Olympic Games, every athlete in their journey to the Olympics will have had to share their goals and plans with others; their family, friends, work colleagues, team mates, coaches and managers. This can test their mettle. Are they up to it when the Doubting Thomas’s start offering their opinion? It provides support - they know they have their backing. It makes it feel real because they are talking about it. Here’s to all of our Olympic atheletes, to our medal winners, and to you and your dreams.